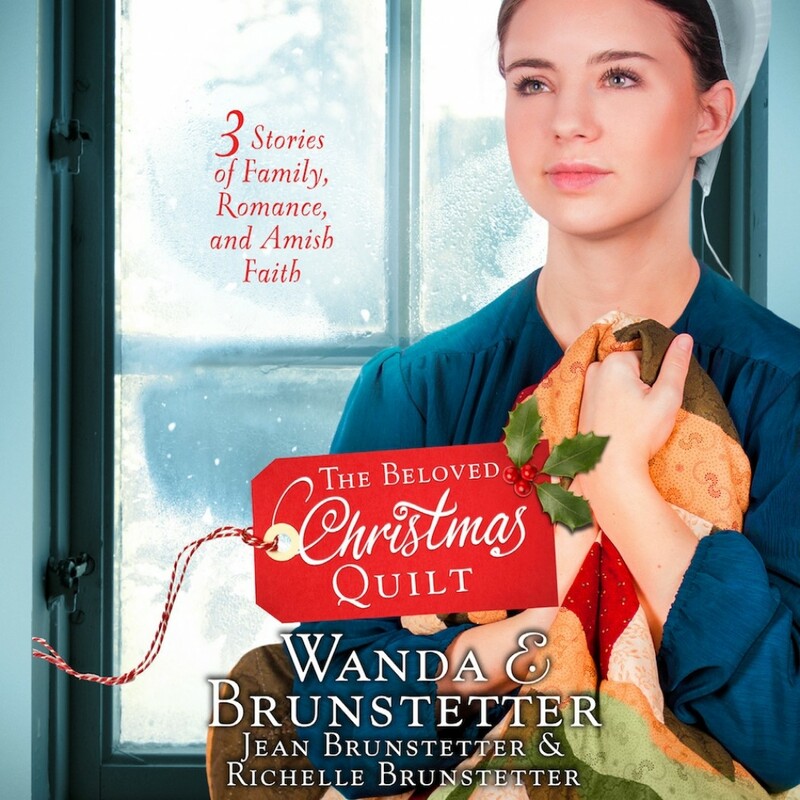 The Beloved Christmas Quilt | Wanda E. Brunstetter, Jean Brunstetter, Richelle Brunstetter | Audiobook Download - Christian audiobooks. Try us free. Enjoy the gift of a brand new romance from New York Times bestselling author Wanda E. Brunstetter, along with stories by her daughter-in-law, Jean and granddaughter, Richelle. The scripture embroidered on the back of a beloved quilt brings hope to three generations of Pennsylvania Amish women at Christmastime. Luella Ebersol has been caregiver for a dying woman and her young son. When Dena Lapp gives Luella her favorite quilt, she makes Luella promise to pass it down to her daughter. But Luella isn’t sure she will ever marry if she can’t find someone with maturity and faith like Dena’s husband Atlee Zook. Karen Allgyer and her husband moved to a slow-paced village to raise their children, but Karen longs for the closeness of family to help her through the challenges of managing three girls with one on the way. When life’s pressures rise, will Karen cave to her fears? When the unexpected happens on the day of her wedding, Roseanna Allgyer can’t help blaming herself, despite not understanding why. Then an old boyfriend returns to town, and she battles feeling for him—afraid of being hurt again.